“It’s a big win for us,” Boston captain Zdeno Chara told reporters after scoring his 200th career goal Saturday. “Clinching playoffs in the new (NHL), it’s not easy. You can see that every year teams are really battling hard for every point to get into the playoffs, and it’s a grind. So if you don’t play consistently well and strong throughout the year, it’s going to catch up.” The Lightning, who have split a pair of games against the Bruins this season, saw their seven-game winning streak come to an end with a 4-3 loss at St. Louis on Saturday after falling behind by three goals in the first period. “Not how you want to start a game, but I thought we showed a good level of compete after that,” Tampa Bay center Brayden Point told reporters after scoring his 40th goal. “I thought we played pretty well, had some chances. They made some good saves and held us in.” Lightning right wing Nikita Kucherov leads the league with 120 points, but was held off the scoresheet Saturday, while Tampa Bay captain Steven Stamkos has scored in four straight contests. ABOUT THE BRUINS (46-20-9): Chara became the 22nd defenseman in NHL history to reach 200 goals, on the same day he signed a one-year contract extension. “He’s our backbone,” Boston’s leading scorer Brad Marchand (92 points) told reporters of the 42-year-old Chara. “He’s such an incredible leader on and off the ice, and he’s the guy that brings it every day. We’re fortunate to have him next year and it couldn’t be more fitting for him to get that 200th (goal).” Marchand boasts seven points in the last four games while linemate Patrice Bergeron owns eight in the same span to tie his career high with 73. ABOUT THE LIGHTNING (58-14-4): Point became the sixth different player to score 40 goals in a single season for the club while Stamkos (39) could also reach the milestone for the fifth time and Kucherov (37) for the second. Victor Hedman saw his seven-game point streak come to an end Saturday despite five shots on goal while fellow defenseman Ryan McDonagh (league-best plus-38 rating) moved within two of his career high of 43 points (2013-14). 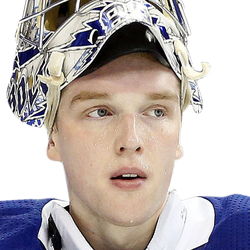 Goalie Andrei Vasilevskiy turned aside 22 shots to lose for just the second time in 17 games Saturday, but still leads the league with 36 victories and owns a .928 save percentage. 1. Tampa Bay C Anthony Cirelli boasts three goals and three assists during a five-game point streak. 2. Boston C Sean Kuraly underwent hand surgery and is expected to miss four weeks. 3. Lightning F Yanni Gourde will serve the second of a two-game suspension for an illegal hit. Bruins are 5-0 in their last 5 after scoring 5 goals or more in their previous game. Bruins are 4-0 in their last 4 vs. Eastern Conference. Bruins are 4-0 in their last 4 vs. Atlantic. Bruins are 11-2 in their last 13 games playing on 1 days rest. Over is 2-0-2 in Lightning last 4 games as a home favorite of -151 to -200. Under is 4-0 in Lightning last 4 games as a home favorite of -201 or greater. Over is 5-0 in Lightning last 5 vs. Eastern Conference. Lightning are 7-0 in their last 7 Monday games. Over is 6-1 in Lightning last 7 overall. Bruins are 1-5 in the last 6 meetings. Under is 4-1-1 in the last 6 meetings in Tampa Bay. Under is 8-2-2 in the last 12 meetings. Bruins are 1-4 in the last 5 meetings in Tampa Bay. Favorite is 26-11 in the last 37 meetings. Bruins are 21-7 in their last 28 games following a win. Bruins are 19-7 in their last 26 overall. Bruins are 16-7 in their last 23 vs. a team with a winning record. Bruins are 8-17 in their last 25 games as a road underdog. Bruins are 5-11 in their last 16 road games vs. a team with a home winning % of greater than .600. Lightning are 43-8 in their last 51 vs. Eastern Conference. Lightning are 5-1 in their last 6 when their opponent scores 5 goals or more in their previous game. Lightning are 48-11 in their last 59 games as a home favorite of -151 to -200. Lightning are 43-10 in their last 53 games as a favorite. Lightning are 41-10 in their last 51 overall. Lightning are 65-16 in their last 81 games as a favorite of -151 to -200. Lightning are 48-13 in their last 61 games playing on 1 days rest. Lightning are 44-13 in their last 57 games as a favorite of -201 or greater. Lightning are 39-12 in their last 51 games as a home favorite. Lightning are 39-12 in their last 51 home games. Lightning are 42-13 in their last 55 games as a home favorite of -201 or greater. Lightning are 44-15 in their last 59 vs. Atlantic. Lightning are 37-14 in their last 51 home games vs. a team with a losing road record. Lightning are 38-15 in their last 53 games as a favorite of -110 to -150. Lightning are 35-16 in their last 51 in the fourth game of a 4-in-6 situation. Under is 5-1 in Bruins last 6 games as a road underdog of +110 to +150. Over is 4-1 in Bruins last 5 games playing on 1 days rest. Over is 4-1 in Bruins last 5 road games. Under is 7-2 in Bruins last 9 vs. Atlantic. Under is 6-2 in Bruins last 8 games as an underdog. 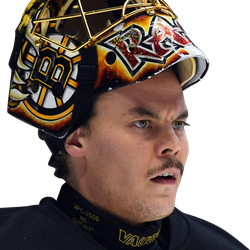 Under is 6-2 in Bruins last 8 games as a road underdog. Under is 5-2 in Bruins last 7 after scoring 5 goals or more in their previous game. Under is 12-5-1 in Bruins last 18 vs. a team with a winning record. Under is 13-6-1 in Bruins last 20 road games vs. a team with a home winning % of greater than .600. Over is 4-1 in Lightning last 5 games as a favorite. Over is 4-1 in Lightning last 5 games as a favorite of -110 to -150. Under is 4-1 in Lightning last 5 games as a favorite of -201 or greater. Under is 4-1-1 in Lightning last 6 games as a home favorite. Over is 4-1 in Lightning last 5 games playing on 1 days rest. Under is 4-1-1 in Lightning last 6 home games. Under is 7-2 in Lightning last 9 games as a home favorite of -110 to -150. Under is 3-1-1 in Lightning last 5 home games vs. a team with a losing road record. Over is 35-13-5 in Lightning last 53 games as a favorite of -151 to -200. Over is 16-6-4 in Lightning last 26 when their opponent scores 5 goals or more in their previous game. Over is 21-8-2 in Lightning last 31 in the fourth game of a 4-in-6 days situation. Under is 5-2 in Lightning last 7 vs. Atlantic.